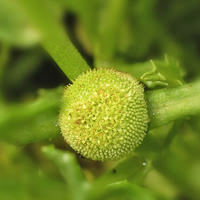 NATIVE EXTRACTS' innovation in CELLULAR EXTRACTION uses Biomimicry to deliver the first 'True to Nature' Centipeda extract, setting new standards in a water soluble extract of this popular botanical by delivering a wider range of phyto-active compounds and greater concentrations than previously known or recorded. Cellular Extracts are naturally multifunctional, and this new generation NE Centipeda Cellular Extract is an interesting discovery; combining powerful phenolic, tryptophan, flavonoids and terpenoid compounds in a single extract, ideal for targeting sensitive skin, reducing the appearance of broken capillaries, acne, advanced hair care and the reduction of redness. Centipeda commonly know as 'Old Man Weed' is a unique Indigenous Australian plant which enjoys a revered position amongst the aboriginal people for its soothing, wound-healing and medicinal properties. The unique anti-inflammatory and antioxidant synergy found in this extract make it an integral active ingredient for skincare products. This extraordinary botanical extract demonstrates outstanding results for its distinct ability to minimise inflammation, promote cell regeneration, improve condition and minimise the appearance of fine lines and wrinkles. 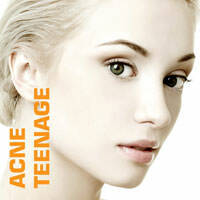 NE Centipeda Cellular Extract for Acne-Teenage skin. Amino Acid : Tryptophan, Phenolic Acid : Chlorogenic Acid, Phenolic Acids, Flavone Glycoside, Flavone : Methoxy-Flavone, Methoxy-Flavone, Lignin and Terpenoid : Sesquiterpene are peaks independently identified and verified by Plant Sciences Analytical Services, Southern Cross University New South Wales, Australia.